Cable termination box, normally installed at the Cable House, near the shore, including part of the cable. Details of this cable are given in SU-019. In the copper ring all the sheathing wires are soldered and provide an unified “earth” which can be seen at the left. Manufactured by Walters Electrical Mfg. Co. Ltd. England. 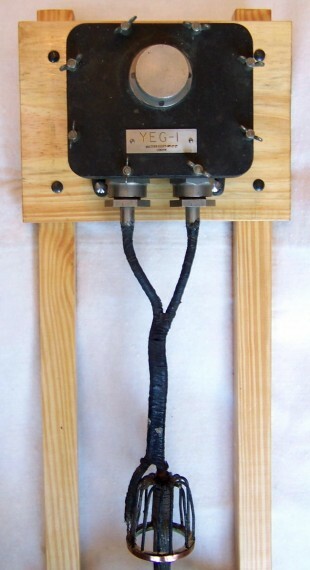 Used by the Western Telegraph Co. at one end of a Montevideo – Colonia cable.